I picked pea pods, lettuces, and herbs galore this past weekend. After a week of rain, the sun shined for a day. Finally, I was able to get to Boone Hollow Farm and Deanna Green And Gardens Art greenhouse without fear of rising creeks and rivers. I found an old saying in my book The Country Diary Of An Edwardian Lady “June damp and warm does the farmer no harm,” which I feel the local farmers and folks as far as Texas would disagree. Floods waters have ruined acres of crops. May be too late to try another round of crops this growing season. Yesterday was the Midsummer Day in the US, the longest day of the year. A much celebrated day in the Old World and other countries around the world, but especially so amongst farm cultures and country folk. For some it is held on June 23 or 24. There are many rituals, most common is a bonfire. I had not the opportunity to have a bonfire for the summer solstice as we celebrated Father’s Day in Columbia, Missouri with family at a steak house. Does the flame from the grill count? No, I don’t think so. But the company and food was good. 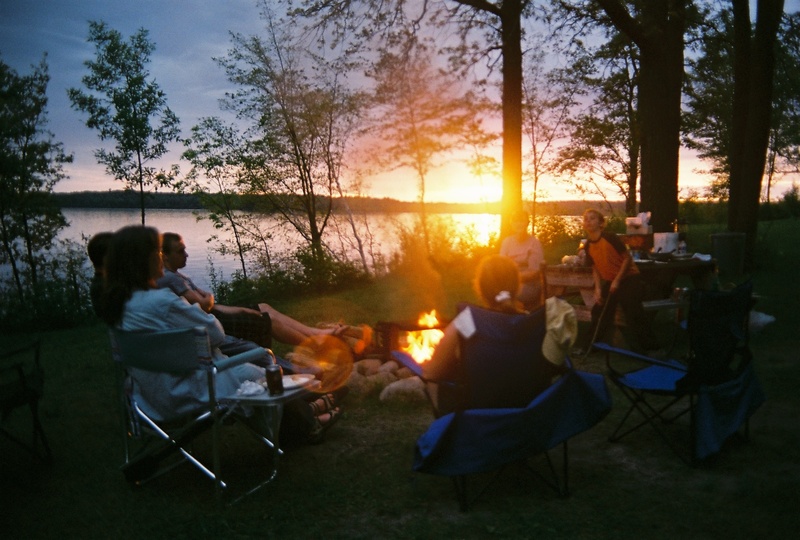 And it is not too long until the Minnesota destination of Valhalla on Island Lake. I will be memorized by the flames of many bonfires and the sound of chatter amongst friends. The weather pretends to be spring one day and another more like winter even though vernal equinox came just a few days ago. The see-saw effect of the air temperature have the flowers and blossoms awaiting their full glory. We were blessed with a few soaking rains this month of March, and this will help the springtime colors on those coming sunny days. Yesterday and today, the day warmed up nicely with full sun by afternoon. This weekend I was able to get my early spring seed sowing completed. Two varieties of peas, leaf lettuce, spinach, and chives seeds went into the cold organic soil of our raised bed. The bed is situated in the screenhouse side of the greenhouse. The irrigation lines are not turned on yet from the winter shut-off to the well, so we make do until then. We watered the soil with water from the little creek on the farm property. We have not tested the water in the creek, but the farm is surrounded by more small farms and rural dwellers in the Daniel Boone country of Missouri. Down-to-earth and sustainable-practicing folks are our neighbors. That’s essential for organic growing. All of our perennials spent the winter under plant lights and the heat from an oil heater in the garage. Some survived, but will flourish in warmer air and real sunshine. Our geraniums, Kingston ferns, citrus trees, and bird-of-paradise are lush green. Just a few more days until we are frost-free, then we can bring them to their favorite outdoor perching spots. Others did not make it through the long winter. Our peace lilies and arrowheads probably will not resurrect in the warmer outdoors. We inherited many perennials when we purchased the greenhouse structure 3-1/2 years ago. Many were sold or were given away. But the perennials I really care about are our geraniums and herbs. Our annuals of organic garden greens, peas, and beans will freshen up a few meals this summer. Gourds will grow over the long summer months, and harvest late in the autumn. All My Children … Isn’t that the name of a daytime drama? If you had not heard yet, there has been daytime and nighttime drama in St. Louis, Missouri area this past 8 days. A community is at unrest due to the fatal shooting of an 18-year black man by a white police officer in the St Louis suburb of Ferguson. Protests turned to riots have lead major destruction in St. Louis County. Upheaval with law enforcement, prosecutors, government officials locally up to federally, and racial activists have made Ferguson known globally. I work for St. Louis County Government housed in the police headquarters building working in the benefits and retirement office. The sounds of security dogs, helicopters circling, and target-shooting bullets are foreign to everyday Clayton, Missouri which is the county seat of St. Louis County. This week I heard it all. And I felt and heard the turmoil of several civil and police employees. I administer the employee assistance services, make sure counselors are there for any one of them … all my children. It was the longest week I had worked. On Friday, my husband picked me up from my office building, our usual car-pooling routine. We drove out of St. Louis County homeward bound. Home sweet home. We decided to stop in for a beer and a bite to eat. Old Town St. Peters American Legion Hall, our destination. Americana at its best. Long-hairs and farmers celebrate in unison the weekend with a beer in one hand and a fried chicken wing in the other. All I could hear was happy conversation and laughter. Beer mugs clanging like cymbals. Music. Songs of joy. The most comforting sounds I heard all week. And despite it all, the Ferguson Farmers’ Market continued on Saturday and parishioners congregated and prayed in their churches on Sunday. Foundational truths do not change. Food and faith still remain the foundation of what man and woman needs. With today’s sermon I was reminded of the Biblical story of the Cannaanite woman that others would have ignored, but Jesus paid attention to this mother’s persistant request for her daughter. With faith I pray … Oh God hear my cry for all my children, youngest to the oldest, black, white, simple-minded, disabled, rich, poor. But if not for the grace of God, any one of us are unworthy. But God You give us each the gift of Jesus Christ. Accept and receive His forgiveness, so that you in turn can show the same towards others. So be it. The first day of May, May Day was met with the chilly wind and overcast sky in Missouri. Don’t you picture children and women dancing around the maypole of ribbons with flowers on their heads and in baskets? Whatever happen to the old tradition of leaving a May basket of goodies and flowers on your neighbors’ doorstep? The good ole’ days! We could use such gestures to return. Maybe a tradition for me to keep alive. Next year I will gift someone with a May basket. Shhh! It’s suppose to be a secret! It may be you! This celebration has many variations, with the original celebration dating before Christ. Pagan in nature, with Christian influences along the way. The German origins of May Day supposely came when St. Walburga brought Christianity to Germany, and it is referred to as “Mai Day”. The old world picturesque town of Hermann, Missouri still has a MaiFest celebration every year. May Day was also a day to celebrate for the laborers, as most seeding was completed by May 1. This year of 2014, farmers and gardeners are challenged by this date. Farmer Dave on the 550 AM radio program said this morning that only 45% of the United States corn crop is in the ground already. This cold air lingering around does not help matters, and for others the drenching rains keep the farmers from completing their seeding. A group of farmers gathered for the first Thursday farmers’ market of this season in Clayton, Missouri this afternoon. I am excited to have them just down the street a 1/2 block from the building I work in. I will patronize them every Thursday after I finish my day at the office. Tonight I baked some fresh organic kale sprinkled wth olive oil and kosher salt. My recipe is on the What A Dish page of this WordPress blog. While at the farmers’ market, I picked up some ramps, a wild variety in the allium family. Some refer them to “wild garlic” or “wild leek”. These are an Appalachian delicacy that have made their way into upscale restaurants more recent years. My ex-husband’s family was from West Virginia, where ramps were skillet fried with potatoes and eggs. The house smells like ramps for days afterwards. Veggie season is in! This locavore is so excited! A hard freeze tonight is in the weather forecast. Up until this week, we wondered when autumn was here to stay. Each night it gets colder. Farmer Dave from the 550 AM radio show says the growing season is offically over in Missouri. We have moved 95% our plants to the shelter of our home and garage in the past 2 weeks. The gourd vines are almost all dried up, so the big gourds will come off their shriveled, withered vines. They will sit in the screenhouse to collect mold on their skin to complete their curing process for future crafting projects during this winter. The little gourds will go to the farmers’ markets this weekend. Great autumn decorations for your harvest table. Our roma tomato plants will die off after tonight’s freeze. We have three huge tomato plants in portable planters, so they now grow under the plant lights of the garage. I wonder how long we will have our organic tomatoes this autumn and winter?! I forgot about my terra cotta planter sitting at the corner of our 1/4-acre plot at Boone Hollow Farm, greets us when we come up the hill to the greenhouse. It houses a solar light post and plants. The geranium, swedish ivy, and vinca may live their last day today. We will not make it the greenhouse tonight with our work schedules, watering, and securing light source for the other plants. But then maybe the solar light will provide a bit of heat to keep temperatures above freezing near the terra cotta plants? Dean and I learn more about caring for plants during the experience rather than just reading about it. Hands on learners. Our plants are science experiments. This blog is our gardening journal. With the crisp nights and early mornings come the glowing autumn foliage. 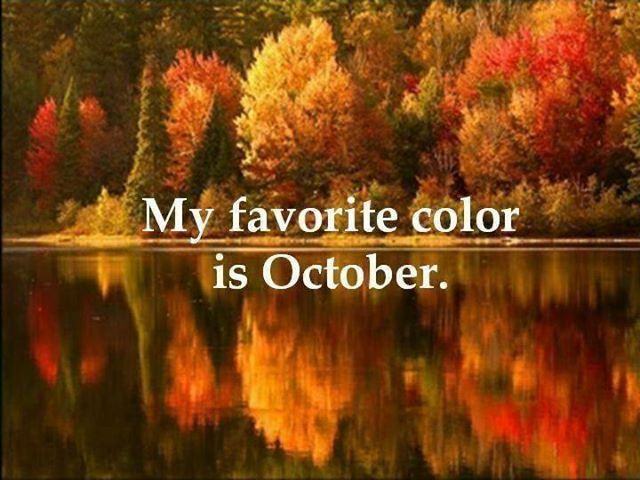 This weekend is to be the peak color weekend. Autumn has an alter-ego I can live with. We had crisp mornings and evenings during our Minnesota vacation, as usual for the end of July into August. It is like Missouri’s September into October season. Apparently, Missouri has experienced the change in the air while we traveled back from the north country last weekend. The signs of autumn are in the air. Others feel it too. Talk of the “f” word, “frost” was on the 550 AM Farmer Dave’s radio show this week, talking like it may come earlier this year. At the spice shoppe visitors are buying apple butter, mulling spices, teas, chili powder, and soup mixes like autumn is here. I am enjoying a cup of hot tea every morning, my newest sensation is Stash brand chai white tea. I think remnants of the north followed us home. Our vacation antique finds include a couple boxes full of Mason jars to make non-electric lanterns. $5 for the whole load of them. Love those bargains at the annual Crazy Days Sale in Park Rapids, Minnesota. Dean will repurpose the jars and design into lanterns to use alternative energy, solar and/or battery-operated lights. We will market at the Lake Saint Louis and Chandler Hill Vineyard’s Farmers’ Markets starting in September along with some beautiful perennials baskets. I cannot wait to use these lanterns on our patio and at the greenhouse. I also found a set of four tea cups with tea snack platters in my favorite farm color, leaf green. Included in the price of the Mason jars! These will go to the greenhouse for my tea time while working at Boone Hollow Farm. Just the simple things in life to make my day artsy and colorful. Our plants are loving the milder temperature, greening up nicely before going dormant in a few short weeks. We just put all the greenhouse plants in the screenhouse a month ago. 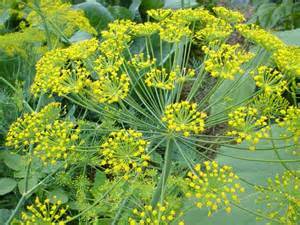 And I have another crop of herbs to sow before harvest. Our gourd plants need some warmth and sunshine to produce their fruit. I hope they get big enough before frost blankets the Missouri earth. Local weathermen talk like St. Louis may not hit 100 degrees this summer. It would be the first time in many years. Plenty of rain now, with more coming everyday this week. If you remember my blog posts from last year at this time, it was so blazin’ hot and Missouri was in a severe drought. What a difference a year makes! But is summer over? This Friday evening I experience the calm after last week’s storms while enroute to Boone Hollow Farm where our greenhouse shelters our plants. Gorgeous week it has been, mild 70’s and 80’s. 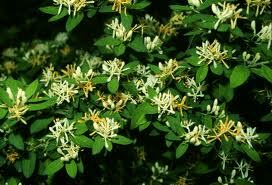 The fragrance of the honeysuckle growing wildly along the 2-lane highway fences engulf my nostrils. Such a contrast from a week ago. Dean and I load our van with market plants as every Friday night. Terra cotta pots of basil, dill, and sage have been taken to the Lake Saint Louis Farmers’ Market this morning. Did you know that herbs do best in terra cotta? The pot absorbs moisture and allows the plant to be watered longer. I snipped thyme from my kitchen terra cotta pot for the turkey breast that will be tonight’s crockpot dinner. Roasted red potatoes and green beans will accompany the tender meat entree. Sunday will be more of the same at the Chandler Hill Vineyards Farmers’ Market. Only rain showers are called for Sunday. Dean will have a pleasant visit with his oldest son and his lovely lady while selling at the market. I will be selling spices and herbs at the Olde Town Spice Shoppe Saturday and Sunday. Buy local, and come visit me at the small shoppe in historic St. Charles. Dean with Deanna Greens And Garden Art will vend at the Lake Saint Louis Farmers’ Market and Chandler Hill Vineyards Farmers’ Market. 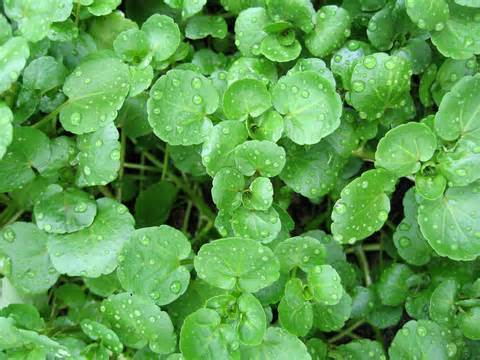 Just look for our lush green perennials and herbs, and buy! 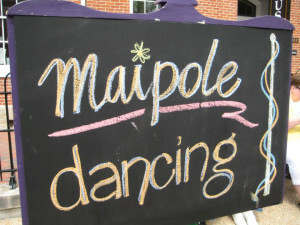 Market leisurely this weekend in St. Charles County, Missouri, as we have much to offer. So this Friday is like so many of my days, filled with family adventures. Early morning we are greeted by my son-in-law asking to use our van to help a mutual friend move his bee hives. Big bee hives, and the trunk of a car would not suffice for the task. Of course, use the van, put gas in it, though do not leave any bees in it. Remember we will be loading the huge van with plants later tonight. The morning goes along with a telephone call from my younger brother while at work, asking if we had found out if we can sell Grandpa’s snake-skin belts and jewelry at the farmers’ markets. A few days ago I told Dean about this request, but I had not heard whether we gained permission to include my grandfather’s handmade snake-skin crafts at our tent. But I will follow-up with this. The next question my brother ask, “Would you like to donate your body to St. Louis University when you die?” He asked this with no hesitation, like he was asking if Dean and I can come over for dinner tomorrow night. Now, I have to take a few seconds to think why he is asking this. With my pause in reply, he interjects that this is what our 97-year old grandfather is doing, and what him and Uncle Earl have discussed doing as well. “Would it be neat for the university to do genetic studies on the Bates Family?” Steve says. “I am going to ask Rick and Marge (my other siblings), too. And maybe Rachel and Elisabeth (my daughters) will consider doing the same?” So it takes what seems like 5 minutes to respond, probably more like a minute. “It’s a good idea, and I am open to it. I always thought to donate an organ to science after I pass, but I need to consider what Dean wants when I pass. I will ask him.” Dean and I discuss briefly on the commute home from our jobs, “no immediate answer, we have time for this decision,” I add. Then Mom calls late this afternoon asking about the weather-stripping for the front door. It appears what we installed this winter caused a suction when it rained earlier this week, that she could not get the door open. Great, she is trying to sell the house. We will be up there to take care of this weekend or on Wednesday when we assist her with her move to the villa 1-1/2 miles from our house rather than the hour’s drive we currently have. Mixed feelings altogether there. We get home to eat a quick dinner my chef son-in-law prepared, fried fish, mashed potatoes, and a tomato-mozzerolla salad. Dean and I needed to get to the greenhouse as soon as possible as a large cell of violent storms was on the way. Dean checked http://www.wunderground.com, and it was in Warren County, one county west of us. Onward to the greenhouse to pick up a few plants for the Saturday morning farmers’ market. 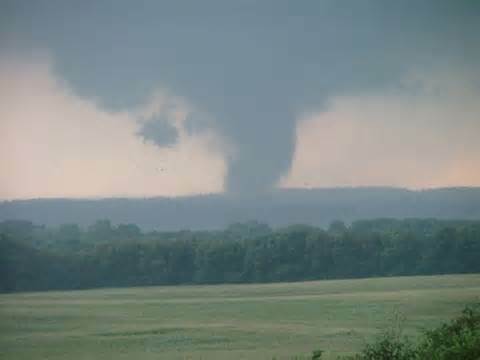 The radio said a tornado had been sighted in Franklin County, one county southwest of St. Charles County. Probably 30 minutes from us. The earlier rains had the ground soaked already, so we parked the van just past the barn. Dean and I quickly walked up the hill, gathered armfuls of plants, each making 3 trips back and forth. By my last trip back to the van, the sky was an eerie green with a black cell right in the middle. Lightning flashes bolts bright, and the heavy rain starts. Our Charlie Brown spruce tree was in full glow with the solar lights like it was nighttime already. It was only 7:15pm. The van radio told me a tornado warning was issued for St. Charles County, and a tornado was sighted in Defiance. Wonderful, we are in Defiance! I guarantee that black cell I saw had a tornado in it! Dean arrived with his last armful of plants, promptly loaded them in the van, and backed the van up in a hurry. We slide off the gravel road right into the slippery clay mud. That van kept sliding towards the rushing creek! Inches from it! Dean tried pulling forward, and we were stuck. Dean and I tried gravel, wood planks, and prayer. We were not going anywhere, especially when Dean accidentally locked the keys in the van. Thank God the engine was turned off! Flash flood warnings came over the weather band radio in the barn. I asked my husband to call our landlord, to see if we could start the tractor to pull the van out. No keys were available, with the landlord in another county over. We asked for the farm neighbor’s telephone number. We called my son-in-law and this farm neighbor. My son-in-law got to us with our spare van key and a smile in his voice within 30 minutes. Our rescuer! The farm neighbor was not home, 30 minutes away but would try to get to us. Dean rocked the van back and forth shifting in reverse and back forward. Mick and I pushed with all our might. A wood plank shot back and hit my ankle. Bruised, swollen, and sore but no cut. Thank Jesus. Rocking back and forth for 10 minutes, the van was out of the muddy mess onto the gravel road. Shovels put away, barn light turned out, and we all managed to cross the creek to the safety of a paved county highway. A call to the farm neighbor to say we were out of our predicament. Reports of a huge tornado touching down in the local towns of Weldon Springs and Harvester, Missouri wiping out multiple houses came over the radio. Cannot help to think we were stuck in the mud for a reason, to avoid being in the path of that nasty tornado. A muddy mess and sore, we all three were, but safe in our house now tonight. Yes, my family adventures never end. Sometimes like the whirlwinds I experienced tonight. Peace I sense. Gratitude, I have family to help when we need it, and to be with on this stormy night. St. Louis University is not ready for me yet. Stay tuned, another chapter of our family life on this blog, maybe with Dean’s family.